Timely post, I am having this exact same thing happen to us. Thanks for the perspective. Maybe I should look at this different. 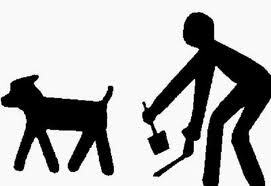 One thing that you might can do in terms of outreach is to open your property on certain days as a doggie park…I am not sure how the city laws will be in regards to this but you could also have a “dog” day and have like an event for pet owners and their pets. You can give out treats, doggie toys, Bibles and of course hand out a copy of pet walking etiquette…..heck, you might win some souls while educating the public on proper dog walking manners! Frankly, I don’t see why anyone should have to pick up after their dogs while walking them on leashes at the edge of the street or sidewalk. When I was growing up–in south Florida–we all went barefoot out in our yards and in neighbors’ yards; and dogs ran free and pooped wherever they wanted to. If we stepped in something, we went home and washed our feet outside and went right back outside–no big deal. Adults, when wearing shoes, just watched where they stepped. You have to do that for bird poop anyway. If we don’t want a huge amount of poop left on the church’s property, perhaps we should erect fences. Even signs won’t stop it from happening. As a dog owner I feel maybe we can offer some complementary poop bags and a receptacle. People will use these if placed conveniently with a polite sign. I second Greg…if a sign is engaging and humorous…possibly even encouraging dog owners to pick up information about the church, it could easily change the behavior of a good number of people. I like the “doggie day” idea too. Guys, I really appreciate all the positive feedback. I had several on facebook as well. But here’s the thing: The problem is NOT the pooping dogs. The problem is my attitude in making things more important that people. This entire phenomenon is simply a way of unveiling my tendency to be more task-focused and less people-centered than I should be. Other than the obvious health hazard (feces spreads disease) and the smell, I really don’t care if people walk their dogs on our property. But the fact that I can spend years being frustrated by something that has zero eternal consequence is frustrating to me. Until Easter, I never, not one time engaged any of the dog walkers in a positive way. Because we were trying so hard to get a lot of people to come to church on Easter, I actually ventured out to talk to some of the dog owners. One guys seemed to be ready for a confrontation – I think I shocked him when I was nice to him, complimented his dog and invited him (not his dog) to church. I don’t know if he came or not, but hopefully his impression of our church is warm and inviting. Fences send the wrong message – “keep out!” Signs and bags – I have no problem with that. But maybe I need to take the foot washing approach with this. Jesus didn’t complain about the disciples’ dirty feet. He didn’t provide boots so their feet would stay clean. He simply stooped and served them in a very relevant way. He was being missional. He did what He needed to do to reach them. I am not ready to start carrying my shovel. I am ready to get over my pettiness and start operating in some grace. Love this post. My job involves a lot of structure and systems and it’s easy for me to forget that people are more important than tasks. Thanks for the reminder. Next PostNext Is Albert Pujols being punished?